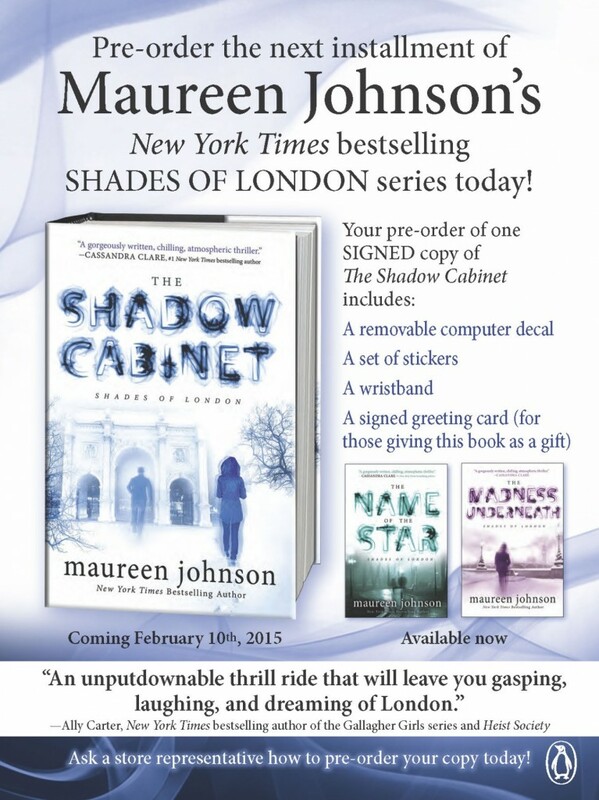 Savvy internet users may have already seen this, via Maureen or PenguinTeen, but just in case you were in a sensory deprivation tank, or otherwise away from the internet, an awesome pre-order campaign for The Shadow Cabinet is happening now! I’ve seen the designs for the extras you get with your pre-order, and I can’t wait to have them myself. Oh, and I’ve already the book. If you’ve been hanging off a cliff since the end of The Madness Underneath, you’re gonna want to read this follow-up as soon as you can. Order now! Ahh! I’m totally going to pre-order it right now.